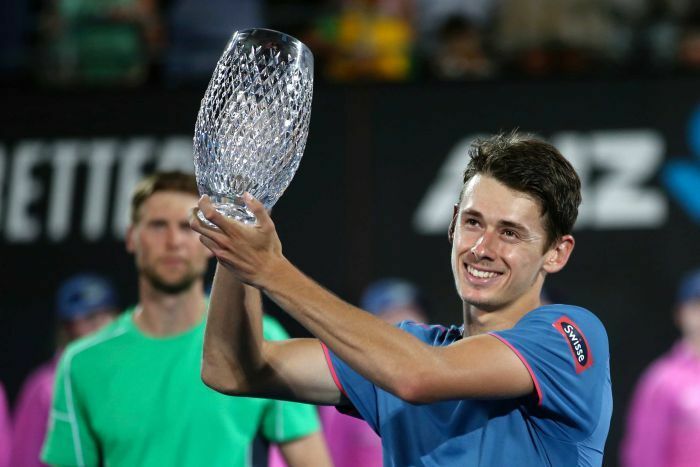 Alex De Minaur is Australia’s newest, brightest star! 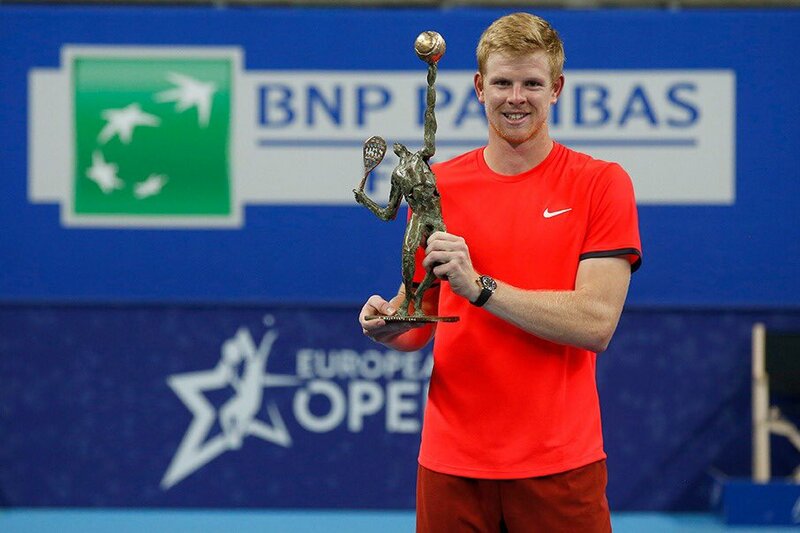 Just last week, the 19 year old won his first ATP title in Sydney, Australia. 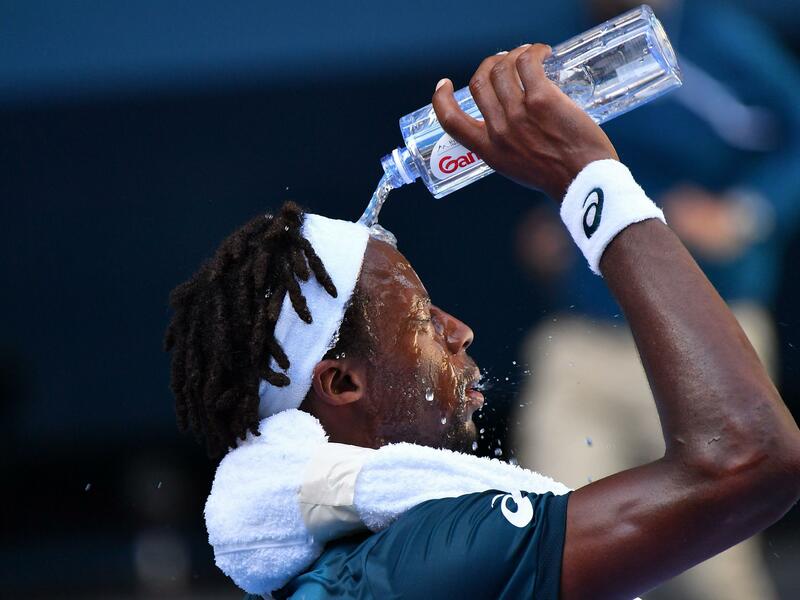 This week, in his on court interview after his first round match win at the Australian Open, he said that getting his driver’s license a few months ago was his greatest accomplishment of the year! Getting your driver’s license > winning an ATP title! Ah, to be a teenager! I have a confession to make. A couple of tennis tournaments are played in “Round Robin” fashion and I don’t know that means! And I wouldn’t be wrong. That is in fact, a Robin, and she is in fact, Round. So there you have it…a Round Robin! Yes, the Jackson 5 singing Rockin’ Robin. That’s a great song, so I don’t mind that this ear worm gets into my subconscious. But that’s not what they mean. At least two tournaments, the Hopman Cup and the ATP Finals use a Round Robin format. I understand the first step. Every player or team plays each other, and then after that, my poor little kitty brain gets crisscrossed! 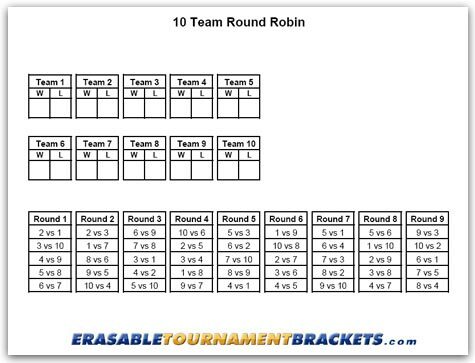 If you Google Round Robin Tournament, you get diagrams like this! If that’s not confusing, I don’t know what is! Does any of this makes sense you? We’re not mathematicians here! We just love tennis! So, I don’t worry about it and rely heavily on my various tennis channels and websites to tell me who is playing whom and when. But still…how do they get to the winner? Meow-zah! The new year! One of my favorite times of the year. 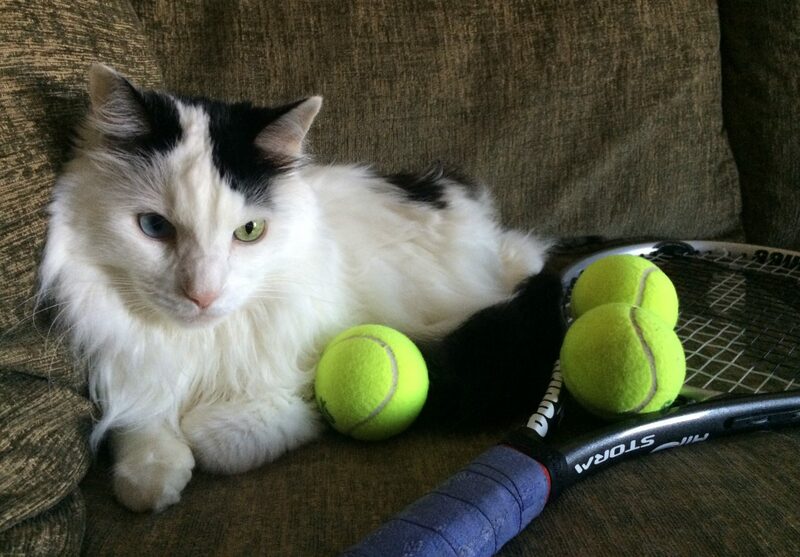 As purr tradition here at Frazier’s Racket, with the turn of the new year comes a new set of resolutions I wish the players, tournament directors and sponsors would make. Let’s begin. 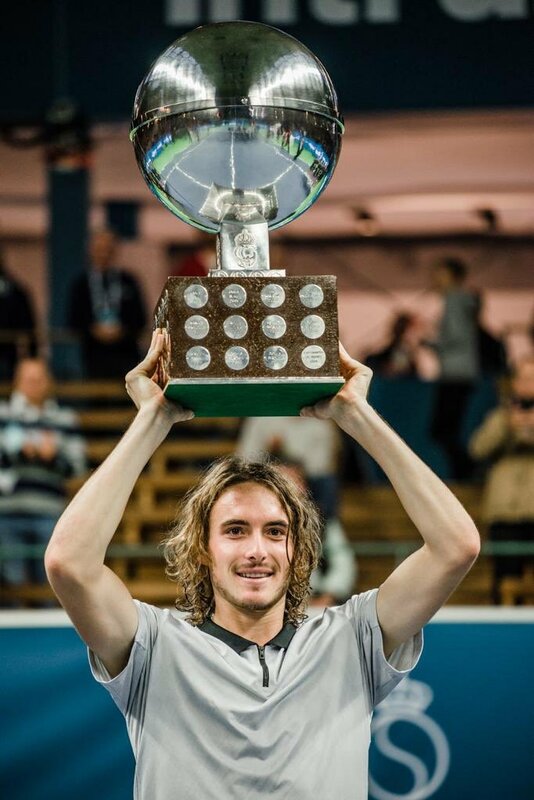 Stefanos Tsitsipas – I resolve to cut my hair and end this charade as a pirate! Arrgh! I know my hair is my “thing”, but I’m improving each week and I don’t need false tricks for people to know who I am. Roger did it. Rafa did it. I can do it, too. They both burst on to the tennis scene with some pretty adolescent styles, but with age came skill and wisdom…the wisdom to know when to finally cut off the locks! Serena Williams – I resolve to have a meltdown-free year. I know who I am, where I’ve been, what I’ve accomplished, where I am going and nobody can take that away from me. I know that I am likely the best athlete there ever was in any sport, male or female. I am going to totally rock it this year!! ATP, WTA, tournament directors – we resolve to apply the same rules to everyone, equally. We will not play favorites for anyone, no matter who they are. We know that if we show preferential treatment to the bigger names who have been dominating the sport for decades, we will never see the young stars rise to their potential. Nike – I resolve to keep the tennis styles stylish and the color combinations complimentary. We at Nike know that we are pushing the boundaries with this melon/salmon top and the ketchup red shorts ensemble that we have started the players with this season, but we are just seeing if you’re paying attention. As the largest sports apparel company in the world, we promise we will deliver the BEST for each and every player on tour. Let’s check back at the end of the year to see how they did. Here we are, furriends! New Year’s Eve…one of my favorite nights of the year. Frazier’s Racket has completed its second year out in the world, and I think it did purrty good! Like every New Year’s Eve, I like to reflect on the past year. Here is how Frazier’s Racket purrformed in 2018. My most popular post to date is The Gold Chain Epidemic . This uncovers the wild obsession men have with gold chains. I would put this one on your reading list fur 2019! The post that I am most proud of this year was The Heavy Hearted Side of Tennis which addressed the unpredictable US Open final between Serena Williams and Naomi Osaka. I’m looking forward to what 2019 might bring. Hold tight and I will be sure to fill you in on the latest racket that happens around the tennis court. It’s happening! Or at least I think it is? I believe we are witnessing a changing of the guard in the men’s tennis world. This week was the year-end ATP Finals in London. 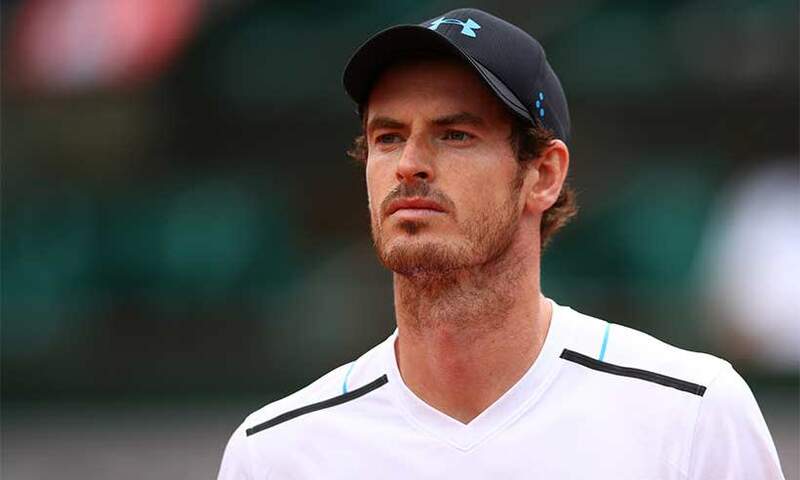 The top eight ranked men’s players gather in London, England to battle for the final title of the year. If you’ve been keeping an eye on men’s tennis for the last couple of years, you will recall Roger Federer and Rafa Nadal dominated 2017 winning two majors each between them. And then this year, something interesting happened. Novak Djokovic got healthy, rehired the team he fired just a year earlier, dominated the second half of 2018, and ended the year at #1! Bye Roger. Bye Rafa. Bye Felicia! (Don’t worry, Rafa and Roger are still ranked #2 and #3, respectfully). So, it was no surprise that Novak Djokovic made it to the finals today. His opponent was 21 year old German, Sascha Zverev. Yesterday, Zverev had to play Roger for a spot in the finals and beat him in two sets that ended in a dramatic tiebreak. If you watched this match (or if you watched Good Morning America this morning where they talked about the incident and referred to Sascha simply as “Roger’s opponent”…shame on you, GMA) you would have seen a freak accident of a ball kid dropping a ball mid-point, automatically forcing the players to stop and replay the point. This gave a slight advantage to Zverev, but let’s be honest…he was outplaying Federer, paws down, but not by much! Anymeows, I could have told you Zverev was the dark horse coming into this tournament. He was primed to do well. He’s played an incredible season, he is young (average age of the top four is 32.5, and Sascha is #5 at 21 years old), and he’s improving. He just hired Ivan Lendl to join his coaching team, so I predict he will win his first major next year. Today’s match against Novak looked nothing like the Federer match. Sascha was in control from the beginning and won the match easily 6-4, 6-3. Now it’s time for some truth serum. You ready? I’m not a huge fan of Sascha, usually because he says stupid things, acts a bit arrogant, and if I am super honest (which, you know I am), I’m not a fan of his hair! It’s not really the hair that gets me, but how he wears his headband around the hair. Secretly, I hope Ivan Lendl has a talk with him over the holiday and Sascha surprises us with a new do next season! But even so, I believe we are witnessing a changing of the guard. Roger can’t play forever. Rafa can’t either. Novak will probably have a stellar season next year. But I believe it will be Sascha Zverev leading the charge to change the tennis landscape that we have all been familiar with for the last decade or so. Are you ready for some new faces? I am! This was a fun challenge so I encourage you to have a go yourself. 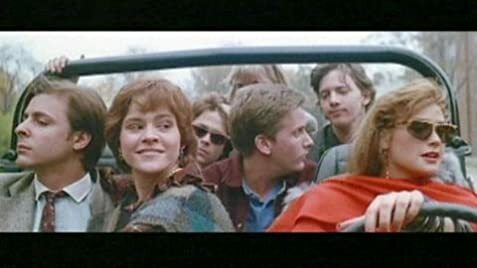 Publish a post with images from ten movies that had an impact on you – no explanation. Send me a message so I can check out your post. Have fun! Hope you enjoyed my list, and I can’t wait to see yours! This is your furriendly reminder to get out there and vote today! If you’re thinking “But Frazier, the lines are so long, I might get bored.” Well, get out your phone and watch cute cat videos. 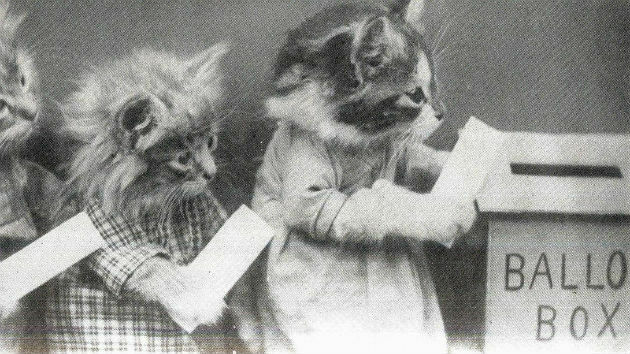 Or better yet, here are some cute pictures of cats reminding us to vote! These kittens doing their civic duty and getting that ballot in the box! 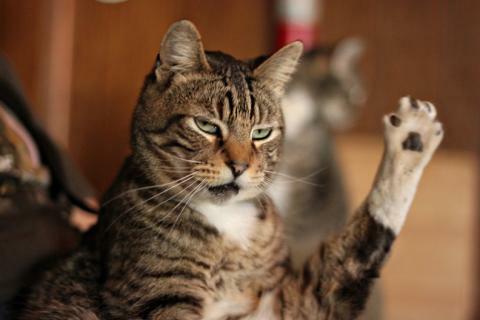 This orange cat doesn’t seem too happy about it, but he rocked the vote! 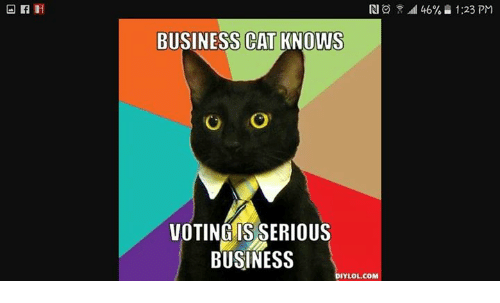 This cat means serious business when it comes to voting! Tie is optional at the voting booth! This guy will raise his paw for a vote! Voting is not rocket science! But it may make you feel out of this world! Oui, Oui! We were in Paris this week for the last tournament before the ATP finals, and it was a good one! To celebrate, I had all of my French favorites…French fries, French toast and French onion dip! All while watching the drama unfold against the backdrop of the Eiffel Tower. 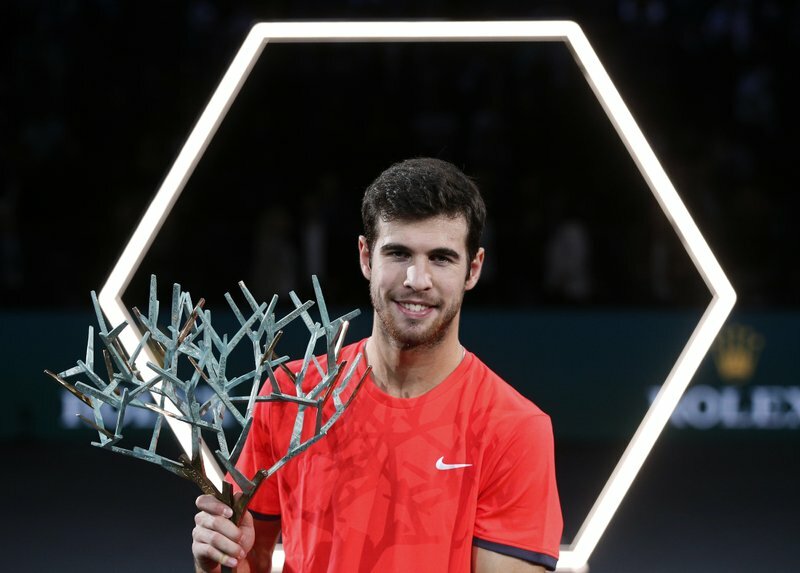 The finals came down to a young up-n-comer, Karen Khachanov and a veteran, Novak Djokovic, whose star was a bit dim these last couple of years, but has decided to shine oh-so-brightly the second half of this year. So bright, in fact, that regardless of how he did in the final today, he will regain world number one spot tomorrow! On paper, this was supposed to be Novak’s day! A return to glory. But I knew different. Khachanov has been killing it lately and I knew he had a chance. Khachanov took about a while to settle in and start playing his brand of tennis, but when he did, there was no holding back. His cross-court two-handed backhand is truly a something of beauty. Novak tried to wear him down, but he wasn’t having it. The look on Novak’s face was saying “This isn’t how this is supposed to be.” But yet it was, and the punishment just kept coming. At the end of it all, Karen Khachanov won in two sets 7-6, 6-4. With this, he wins his first Masters 1000 event. And at the end of the day, Novak Djokovic end the year at number one! Concatulations to both! Happy meow-loween from Frazier’s Racket! May you all have a safe and happy night of trick or treating. 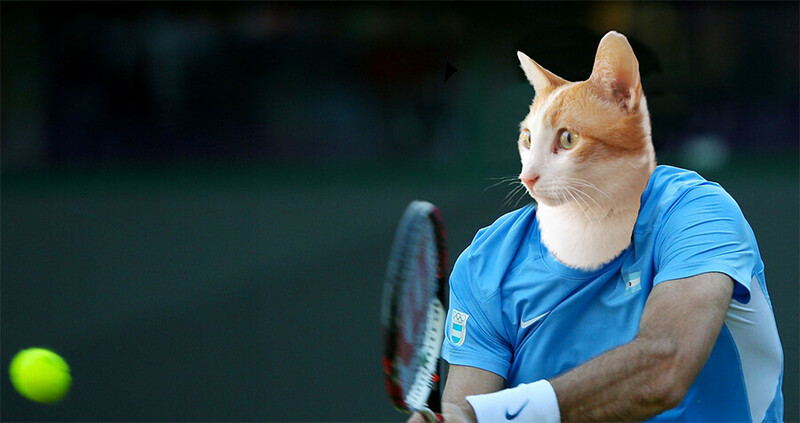 To celebrate this spooky holiday, here are some mysterious pics of cats playing tennis! 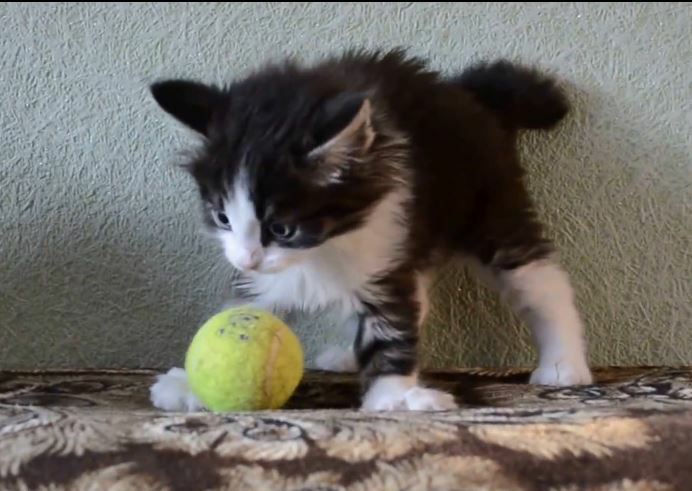 This guy is going to smash that tennis ball for a cross court winner! This little guy know to keep her eye on the ball. Um, I think you need a racquet to hit the ball. The tennis world has once again, been flipped on it’s head over MPB! You know…male pattern baldness! Believe it or not, male pattern baldness is one of the first things I wrote about when I started my tennis blog last year. Is There Room For MPB In Tennis? In all of my wildest catnaps would I have thought this would be a topic covered in my blog, but hey…hair we are! 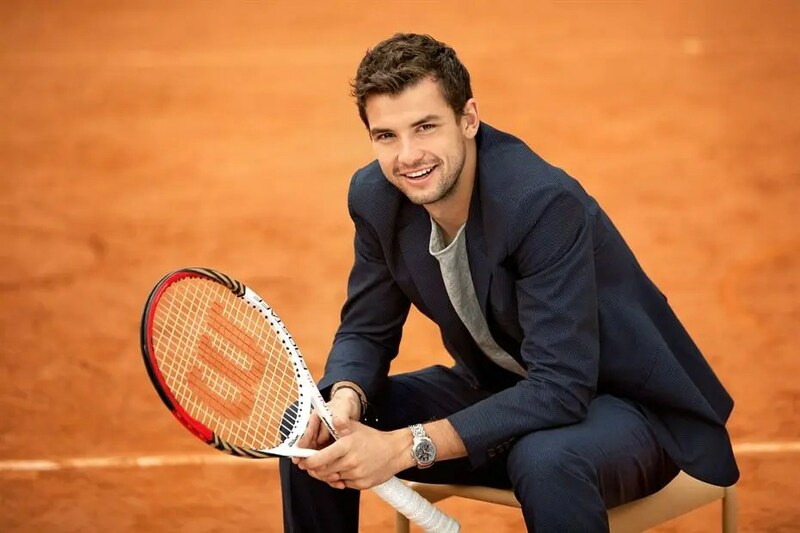 There’s been a lot of buzz about the buzz Grigor Dimitrov got a few weeks ago. 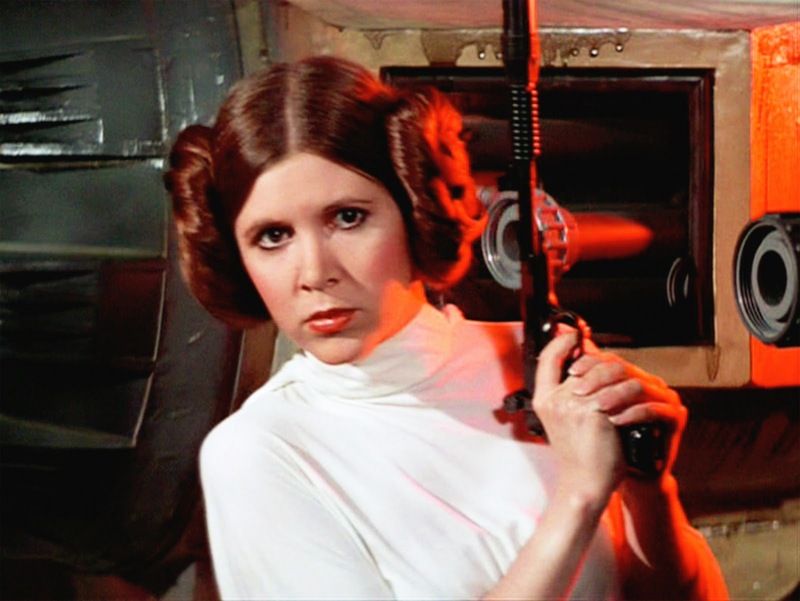 There has been a lot of noise on Twitter about it, with many fans voicing disapproval. But for me, purrsonally, I am a fan! When you are in the public eye as much as these guys are, and navigating being a tennis “star”, everything is up for scrutiny and everyone has an opinion. But for me, all that matters is the tennis. Maybe he is channeling his inner Agassi! It wouldn’t be the worst thing to happen. He has been spotted practicing with Andre in these last couple of weeks, and maybe that will be just the change he needs to get his career back on track. Let me know what you think. Do you like the new do? I have some exciting news! On this Sunday, we had two young players win their first ATP titles! We are just a few short weeks away from the year end finals…first the Next Gen Finals, for which Tsitipas has earned himself a seat, and then the year end finals. I’ll keep you updated on the latest. What was that? Did you feel something? Was that a little rattle, a little hum? Did the Earth tremble just a little bit? It’s subtle, but I could swear it did! Maybe there was no 8.0 earthquake, but let me meow to you…there is a shift happening in the ATP rankings right now and I am super excited! 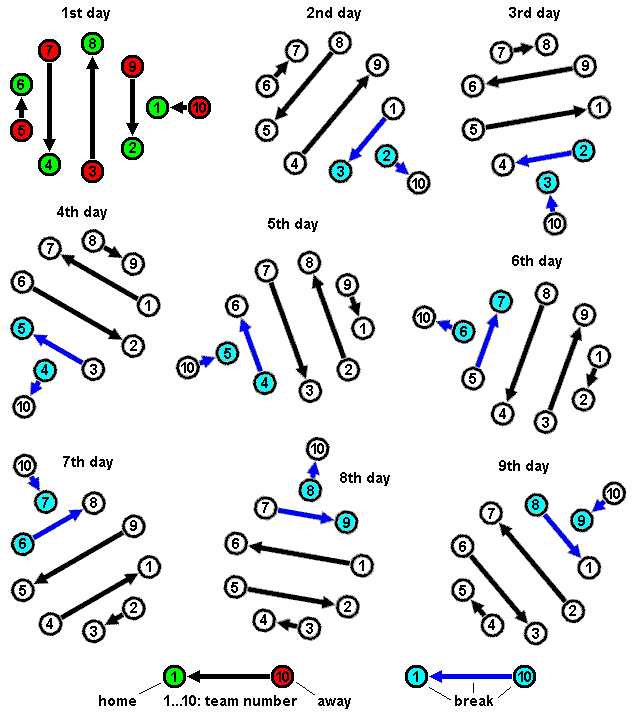 Earlier this year, I explained a bit about ATP points in a post titled Everything Counts In Large Amounts. Since then, there’s been a lot of movement in the ATP rankings, which affects who gets to play in the ATP Finals in November. The Shanghai Rolex Masters was a 1000 level tournament. That means the winner gets 1000 points, and every person after that gets fewer points, depending on how far they got in the tournament. For instance, the loser of the final match gets 600 points, if you make the semifinals you get 360 points, etc. If you win the year before, you have to defend your points or they are lost. Roger Federer won the Shanghai Rolex Masters in 2017. This year, he only got to the semifinals (loss in points), and Novak Djokovic won (gain in points). Last year, Roger won Wimbledon (a 2000 point grand slam), but this year Novak Djokovic won Wimbledon. So all of this gaining and losing of points has now moved Novak Djokovic into the #2 ranking! Last year and for most of this year, Roger Federer and Rafa Nadal went back and forth for the top two spots. Recall that in 2017, every grand slam tournament was won by either Rafa or Roger. Now, there is a mere 215 points separating Rafa Nadal at #1 and Novak Djokovic at #2. What an exciting way to finish up the season. With one more Masters 1000 level tournament left and a couple of 250 and 500 level tournaments, it truly is a race to the finals! Can’t wait to see how it ends! I was watching the Shanghai Masters this week and I noticed something that made me meow! During a medical timeout for Dominic Thiem, they were playing “Down Under” by the 80’s Australian Band Men At Work. It got me to thinking…did they play the song because the physio was working on Thiem or was it just a happy coincidence? Well, either way, it got me thinking…wouldn’t it be fun to put together a playlist that could be a running narrative for a tennis match! I’m not talking about the obvious songs like “We Are The Champions” or “Eye of the Tiger.” I really wanted to stretch my kitty imagination and come up with some obvious, but not so obvious choices. Here we go! I’m a Survivor, by Destiny’s Child. This would be a good choice for when a player comes back from a break down and wins a set. Anything By Swing Out Sister! This one could be twofold. One, if a player is just killing it with the forehand or a backhand, or just swinging at the ball to save her tennis life, she is “swinging out, sister!!”. If you play the song “Breakout”, this could be played when someone breaks someone else’s service game. Either way, I totally love this song, just like I totally love the 80’s! The Distance, by Cake. This one is obvious! The would be played if the match was going to a fifth set! So much fun! And this song would be purrfect to be blasted in a stadium. I Fought the Law, by the Clash. Now, I know this is a cover, so settle down. But it is still an awesome version. This could be played right after a player has an epic meltdown between the umpire, and of course, the umpire will win! You Spin My Round (Like a Record), by Dead or Alive. I can see this being played after an imposing rally on clay…anyone against Rafa Nadal, or on grass…anyone against Roger Federer, or on hard court…anyone against Novak Djokovic! Those guys really make their opponents spin round like a record. Anything by Ace of Base! Get it…Ace! This one could be played during a John Isner match. He’s the king of aces this days. Safety Dance, by Men Without Hats. I specifically suggested Safety Dance because Men Without Hats were a bit of a one-hit wonder. But this could be played any time we see a man without a hat (which is pretty often!). And, it’s a super fun song, so I bet the crowd would get up a jam to this! It Ain’t Over Til It’s Over, by Lenny Kravitz. One, I love this song, possibly his best song ever! Two, this is a obvious choice to be played to encourage the losing player to stay focused, get his/her head right and go out there and play like they still got a shot! The Best, by Tina Turner. I’m purrty sure this would be most appropriately be played at the end of a match when they are announcing the winner! What do you think of my list? Did I miss any songs that would really make a statement during a tennis match? I am most certain I did. As you can see, the 80’s and 90’s it truly my musical wheelhouse. Let me know what you would add. This could be fun. Ah yes, we are smack dab in the middle of the Asian Swing! Is it a new form of dance style you ask? A new type of baseball technique? Or maybe a new playground toy for kids in the backyard? No, of course not! The Asian Swing is that fun time of year in between the last grand slam of the season (the US Open) and the ATP Finals. The Asian Swing! Last week, we found the guys playing in Shenzhen and Chengdu, China. This week, we have two tournaments, one in Tokyo, Japan and the other in Beijing, China. And next week, they wrap up the Asian Swing in Shanghai, China for a Masters 1000 event. All of this for a final push to rack up ATP points for the year end Final, which only takes the top eight players! Today was the final of the China Open and the Tokyo Open. Here are just some quick observations from both tournaments. I have a bit of a confession. I’ve become a bit fascinated with Basilashvili. One, he has a fun last name to say! Two, he hits the ball very hard and makes impossible angles with his shots. Three, he always looks a little sad…or maybe deep in thought, like a wise philosopher or poet. Four, he has these deep, brooding, blue eyes the color of a clear sky on a Spring day. Anyway, Basilashvili wins this match, 6-4, 6-4. Yes, Del Potro was a bit under the weather, but I don’t want to diminish the excellent play of Basilashvili! 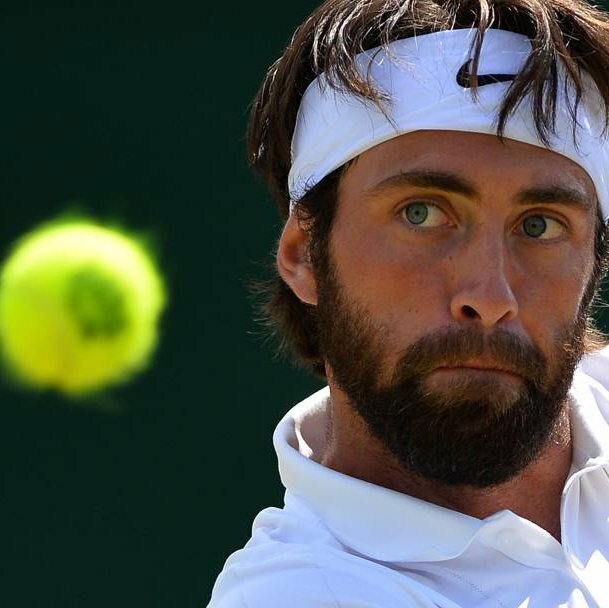 Paul Annecone, commentator for the Tennis Channel, actually said “he looks like a man who wants to be tucked up in bed with a hot toddy.” Now, this would make sense if he was saying it about Del Potro, but I’m pretty sure he said it about Basilashvili. Odd. Why did the continue to play the music over the trophy presentation? It just made it very hard to hear what the players were saying and it was all around distracting. Nishikori had hometown advantage, but that was no match for Medmedev. It was a quick match with Medvedev the victor, 7-6, 6-1. Cup ‘o Noodles is a corporate sponsor of this event and they had giant Cup ‘o Noodles statues at the corners of the court. Kind of funny; kind of cute. The guys are in Shanghai this week and it is a BIG tournament, so I’m sure there will be lots to discuss. Stay tuned and I’ll keep you up to date.